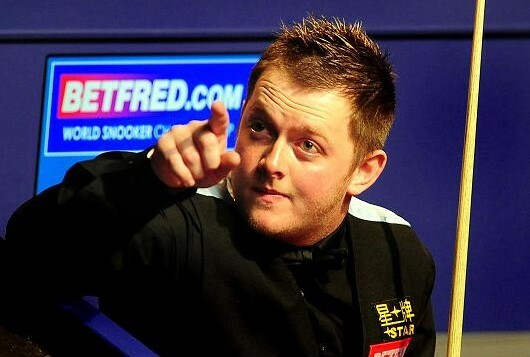 MOTORMOUTH Mark Allen continued his war of words in China by branding the playing conditions "a disgrace". The world No 10 scorched into the semi-finals of the Haikou World Open with a 5-1 win over England’s Mark King yesterday. But the 26-year-old from Northern Ireland then blasted the humidity in the arena, saying it made snooker "almost unplayable". This came days after Allen laid into the venue, calling the Chinese hosts "ignorant". Allen, who still made two centuries and now faces world No 1 Mark Selby for a place in tomorrow’s final, tweeted: "Glad to get through but can’t take anything out of that victory. "Mark King was not beat by me but by conditions! Disgrace for quarter-final." Later in his Press conference, Allen — bidding to reach only a second ranking final — added: "Conditions were very, very poor for both of us but I adapted better. "It was nearly unplayable in there." Selby, wearing a glove to stop his cue sticking, set up his last-four clash against Allen with a 5-0 win over Shaun Murphy. World No 38 Rob Milkins — knows as the Milkman — delivered in style to beat world champion John Higgins 5-3 in the last eight. He will play Stephen Lee — who beat Graeme Dott 5-1 — in the semis. Milkins, chasing a first ranking final spot and a £75,000 first prize, said: "That was a dream. To beat John when he was playing so well was extra special."